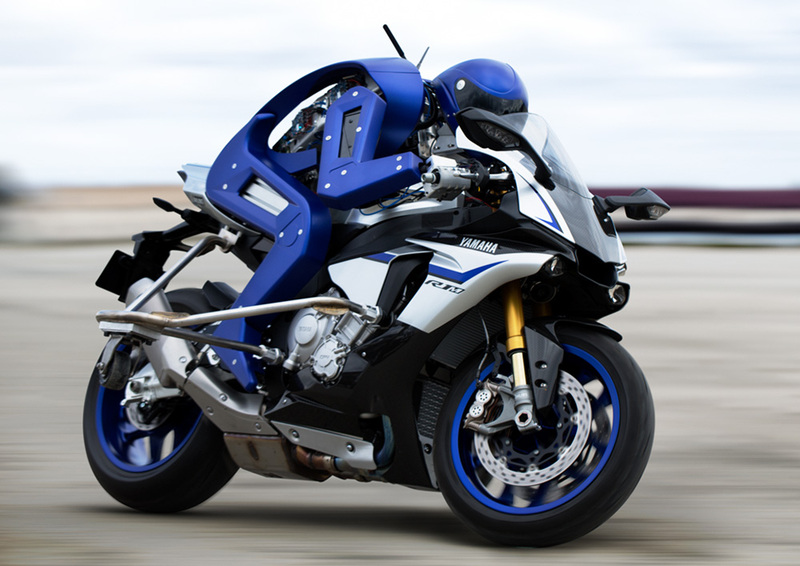 The 44th Tokyo Motor Show 2015 - About the Yamaha Booth - News Releases | Yamaha Motor Co., Ltd.
MOTOBOT Ver.1 This is an autonomous motorcycle-riding humanoid robot built around a fusion of Yamaha's motorcycle and robotics technology. R&D is currently underway with the goal of developing the robot to ride an unmodified motorcycle on a racetrack at more than 200 km/h. The task of controlling the complex motions of a motorcycle at high speeds requires a variety of control systems that must function with a high degree of accuracy. We want to apply the fundamental technology and know-how gained in the process of this challenge to the creation of advanced rider safety and rider-support systems and put them to use in our current businesses, as well as using them to pioneer new lines of business. 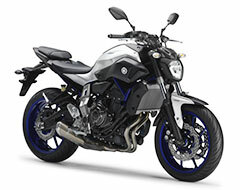 MT-09 TRACER ABS This model takes the MT-09 and its 846 cm3 in-line 3-cylinder engine based on Yamaha's "Crossplane Concept" as its platform. 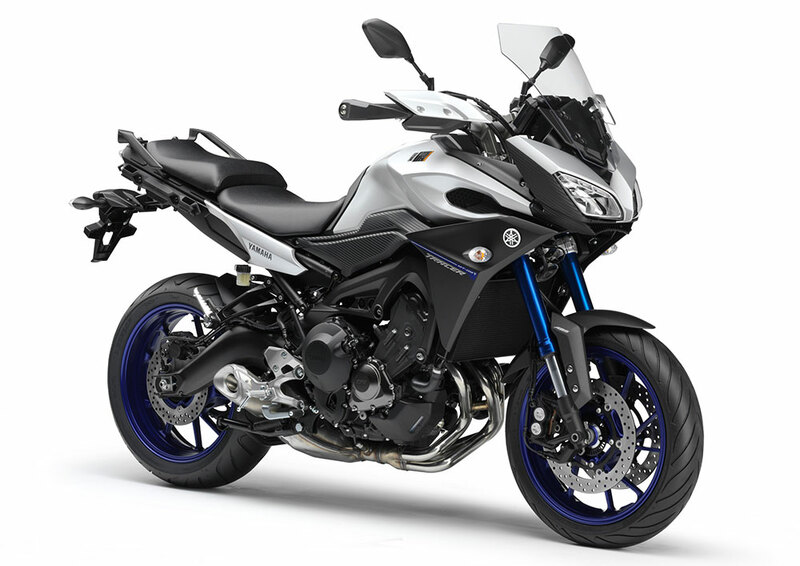 The MT-09 TRACER is a variation that offers sporty performance for everything from riding through city streets to touring. 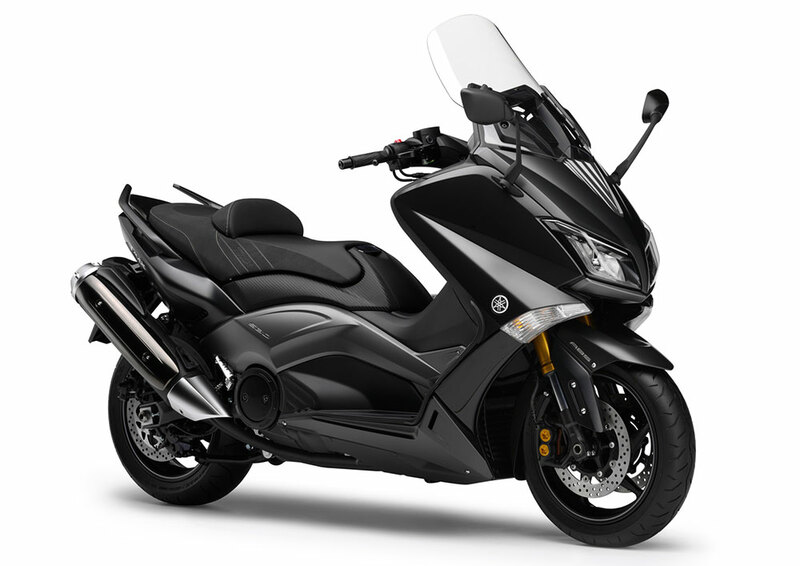 It features a front cowl that incorporates a layered structure, handlebar grip covers and other equipment that provides a high level of functionality and comfort in touring. 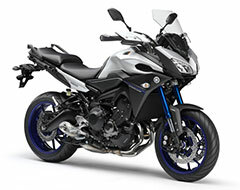 MT-07 ABS Bringing both fun to the daily commute and excitement to the weekend jaunt, this sport bike delivers riding enjoyment that can be felt directly and intuitively by users of all skill and experience levels. 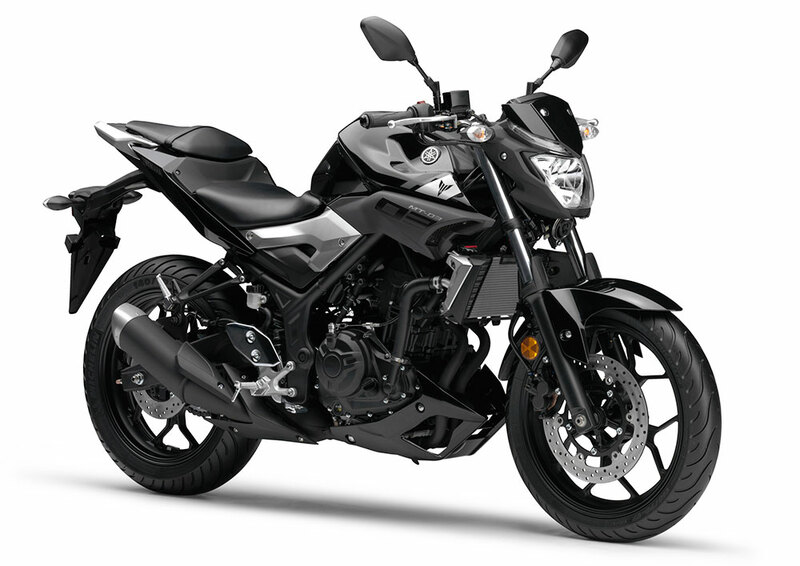 Its engine developed in line with Yamaha's "Crossplane Concept" adopts a 270° crankshaft and provides a pleasing feeling of acceleration and dynamic ridability. 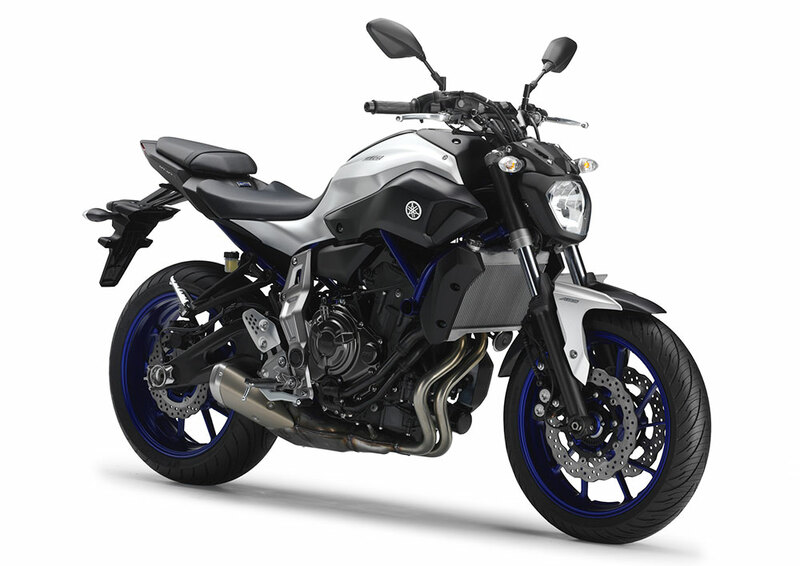 MT-03 Based on a "Street Cheetah" development concept, this new MT Series model is powered by a 320 cm3 in-line 2-cylinder engine. It takes the lightweight, slim and compact chassis and engine of the YZF-R3 as its platform and shares the sharp, original and dynamic styling of the MT Series. 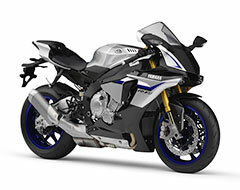 YZF-R1M This is the flagship of Yamaha's supersport lineup. It was developed under a "High Tech-armed Pure Sport" model concept that aims to provide a tangible experience of the technological ideals used for the YZR-M1 MotoGP machine in a production model. 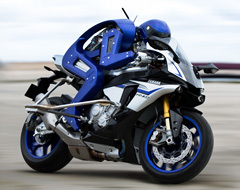 To achieve the performance potential to make it "the fastest bike on the circuit," this model is powered by a high-output engine and boasts advanced electronic control technology like the first 6-axis Inertial Measurement Unit on a production motorcycle to achieve high levels of handling performance and ridability. 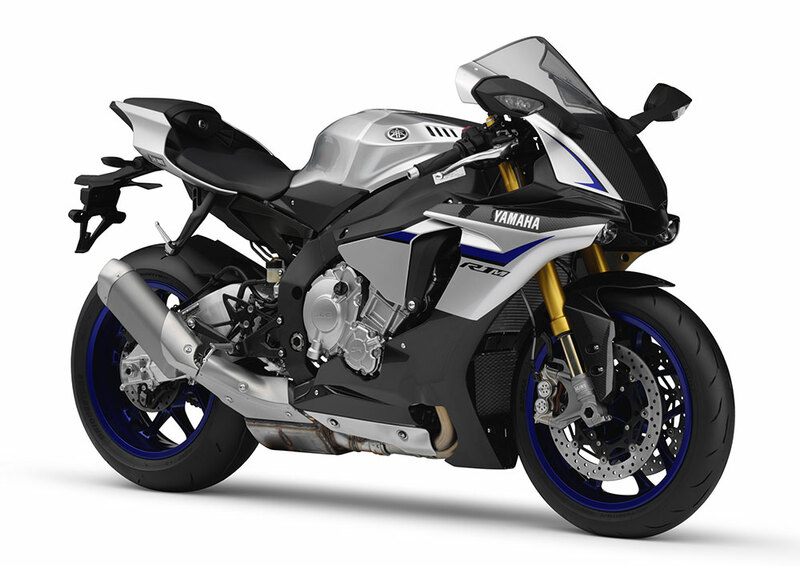 The high-spec YZF-R1M adds electronically controlled suspensions, lightweight carbon fiber cowlings and an interface that records a variety of information useful for racing. 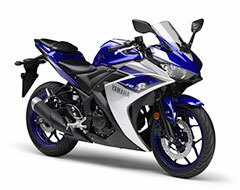 YZF-R3 ABS With sporty styling inheriting the DNA of the R-Series models, this model features a liquid-cooled in-line 2-cylinder engine. 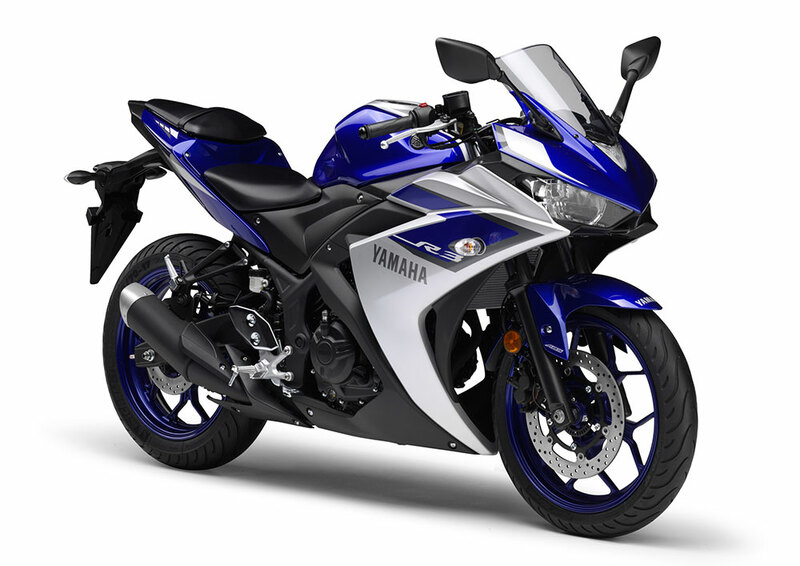 The YZF-R3 takes the 250 cm3 YZF-R25 as it base model and boosts engine displacement to 320 cm3 to raise performance levels while maintaining ease of handling in daily use. The model on display is equipped with an Anti-lock Brake System (ABS). YZR-M1 This is Yamaha's race machine that competes in MotoGP, the pinnacle class of world championship motorcycle road racing. 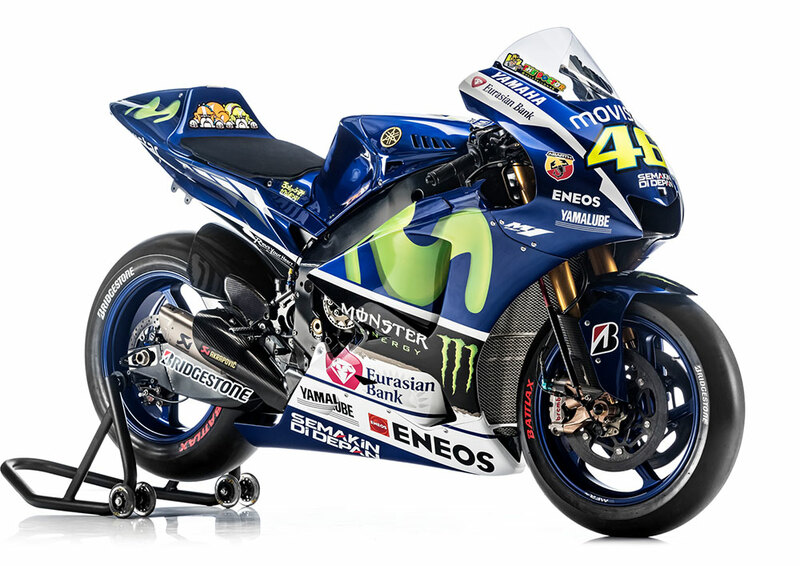 The "M" in the YZR-M1 name stands for the "Mission" to feed back technology born in MotoGP into production vehicles and also the "Mission" to win the championship. Since its debut in 2002, the YZR-M1 has won Yamaha a total of seven MotoGP rider championship titles with Valentino Rossi (Italian) and Jorge Lorenzo (Spanish). 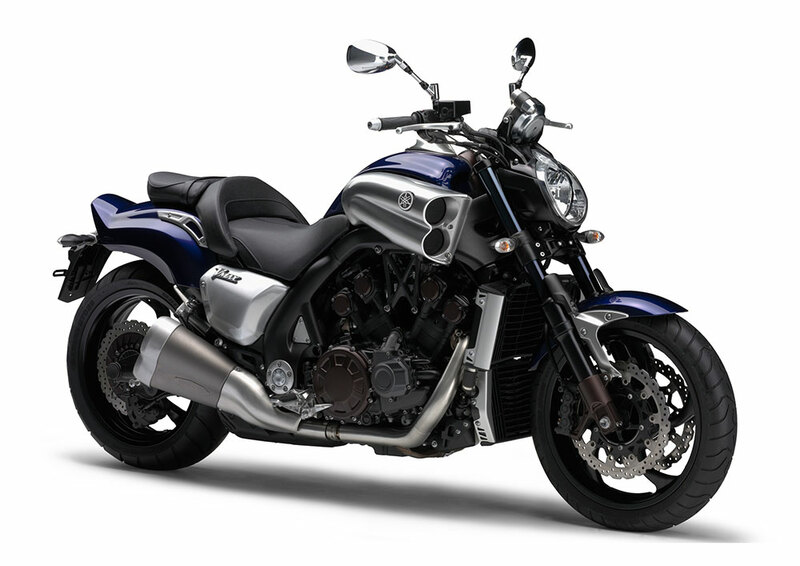 VMAX This model features an elegant body design that visually expresses the flow of power, and it is powered by a 1,679 cm3 liquid-cooled V4 engine that delivers breathtaking acceleration and an incredible feeling of power. 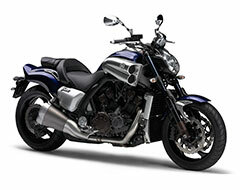 Electronic devices such as the Yamaha Chip Controlled Throttle (YCC-T) and Yamaha Chip Controlled Intake (YCC-I) help fine-tune the engine's torque characteristics. This VMAX's awesome acceleration performance is akin to having the previous model's "V-Boost" throughout the entire rpm range. 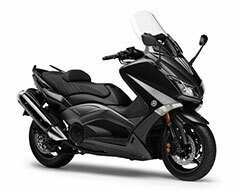 TMAX530 ABS（TMAX530 ABS IRON MAX） This is the latest model of the "TMAX" that pioneered the "automatic supersport" category with its release in Japan in 2001. 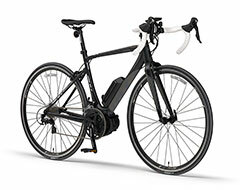 The combination of the 530 cm3 engine that delivers strong torque in the low- and mid-speed (rpm) ranges, the belt drive that provides a linear feeling of acceleration, and an aluminum frame and swingarm with a good balance of light weight and high rigidity, gives this model high levels of sporty performance. 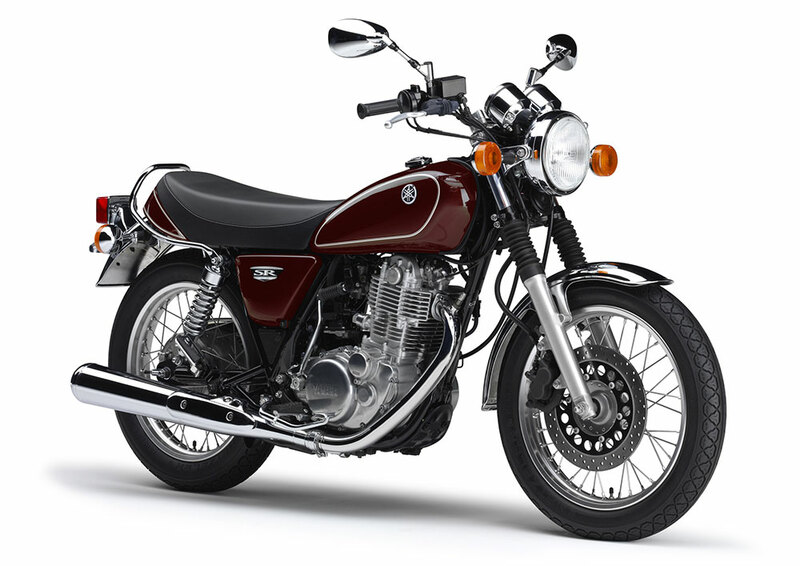 SR400 In the 37 years since the release of the first SR model in 1978, the series has maintained the same basic structure and specifications and has continued to be a long seller with a devoted following of fans. 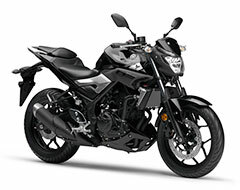 It features a simple and beautiful body design and is powered by a big single-cylinder engine that lets the rider enjoy a feeling of abundant torque and power pulse. 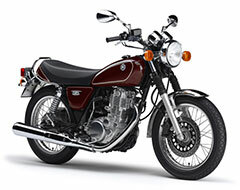 The muffler on the current model uses a nano-film coating that gives it a jewel-like luster. 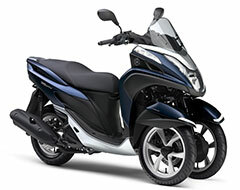 TRICITY 125 This is the first of Yamaha's Leaning Multi-Wheel (LMW) models. 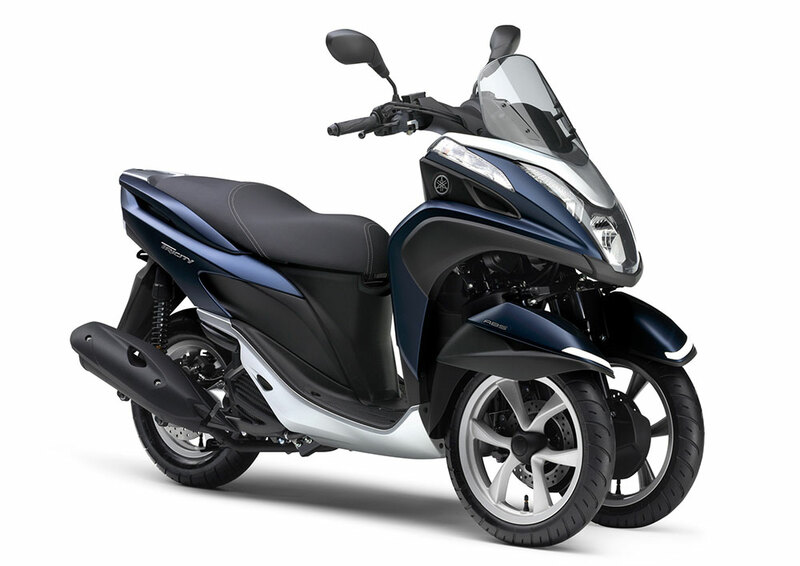 It embodies our "growing world of personal mobility" with its new type of riding enjoyment derived from the feeling of stability provided by the two front wheels and the added comfort they bring to the ride on a variety of road surfaces. The optimized geometry of the two front wheels enables both excellent straight-line performance and light, agile handling with a tight turning radius. YPJ-R This electrically power-assisted high-performance production road bicycle was developed in line with the ideas of the "YPJ-01" concept model introduced at the 43rd Tokyo Motor Show. 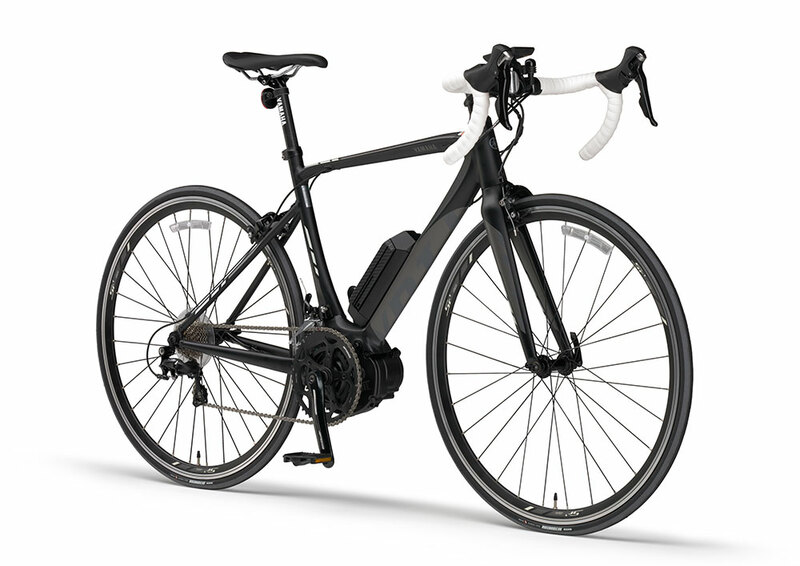 In addition to providing a powerful assist in starts, acceleration and hill-climbing, the YPJ-R's main features are a design that minimizes the presence of the electric power unit and a light, agile ride. 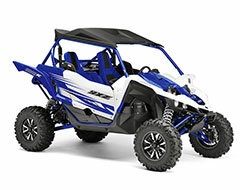 YXZ1000R From utility use to recreational and sport driving, Recreational Off-highway Vehicles (ROV) are used for a wide range of purposes, and demand in this category is growing, particularly in North America. 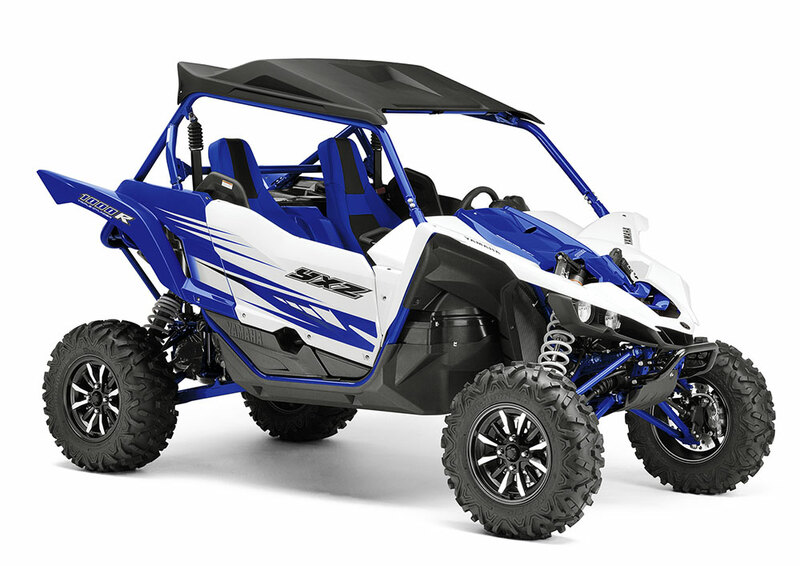 The YXZ1000R 2-person pure sport model is Yamaha's fourth ROV entry and mounts a newly developed 998 cm3 liquid-cooled 3-cylinder engine.